Make her day with a picture perfect proposal. Our Classic Six Prong & Bead Set Channels 14k Rose Gold is the simplest way to achieve that memorable moment. 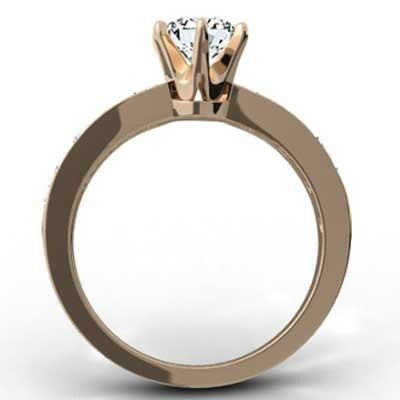 This elegant ring design is understated yet knows how to make a statement. Fashionable, chic, and undeniably stylish... the moment she lays eyes on it is a moment she won’t soon forget. 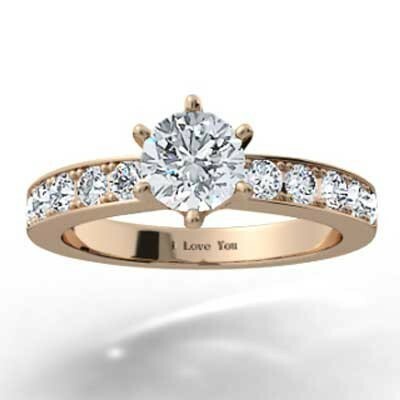 Once you choose the right engagement ring for your significant other, select her preferred diamond cut, upgrade the materials for even more luxury, or include a personalized message inside the band. There are so many ways to create the ring of her dreams!